The Central Art Walk is a yearly studio tour and sale in the beautiful Kitchener neighbourhoods bounded by Belmont Ave., Victoria, Weber, and Union streets. Come visit, and get a chance to see artists in their own studios, displaying fine art, jewelery, paintings, food, photography, pottery, glass, collage and fibre arts. 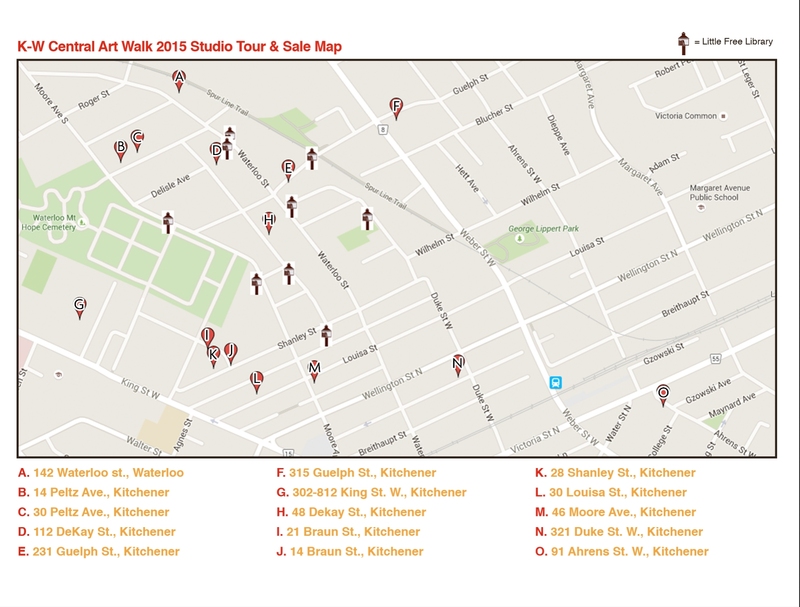 View the 2015 Art Walk map. (JPG image)View the 2015 Art Walk brochure here (1 MB).Download the 2015 Art Walk brochure here (Printable Version) (1 MB).